On Nov. 5th Major Nidal Hasan allegedly (we know he did it) shot and killed 14 human beings at the Fort Hood Army Base in Texas. One of the murdered was an unborn baby. Private Francheska Velez, one of the victims of the massacre in Fort Hood, was nine weeks pregnant when she was gunned down by Hasan. This pregnant soldier's last words were, "My Baby! My Baby." She and her baby deserve justice. So why has the Army only charged Major Nidal Hasan with 13 murders and not 14? If the Army does not charge Nidal Hasan for killing the unborn baby, they are disregarding the laws that protect unborn children, and they are effectively saying that it is okay to murder someone else’s unborn baby. 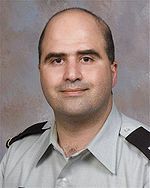 The Texas Conservative Coalition (TCC) sent a letter to the Army signed by 31 Texas Legislators requesting that Nidal Hasan be charged with 14 murders to include the murder of the unborn baby. The TCC letter cites the Uniform Code of Military Justice (UCMJ), as amended by the 2004 Unborn Victims of Violence Act, which states that anyone who is committing an illegal act that causes the death of a child in utero shall be charged with a separate crime, just as if the violence had been committed against the child's mother. Furthermore, in 2003, the Texas Legislature enacted Senate Bill 319, which provides that a person who commits an offense that results in harm to, or the death of, a fetus can be prosecuted in generally the same manner as an offense committed against an individual. Texas State Representative Dan Flynn, a member of the Texas Conservative Coalition (TCC), has publically stated: "We were all shocked and appalled at the senseless tragedy that Major Hasan unleashed at Fort Hood. For justice to be fully won, the death of an innocent, unborn child must be reflected in the legal charges against Major Hasan." State Representative Debbie Riddle has also publically called for the Army to charge Hasan for murdering the unborn child. "Each of the 14 souls that were stolen by this monster and his cowardly act of terrorism were innocent," Riddle said. "But none were more innocent than the unborn child whose life never even had a chance to fully begin." One thing is clear: 14 lives were stolen on November 5th, 2009. It is very troubling that the Army has only recognized 13 lives having been taken away. I wouldn’t expect President Obama to step in and request that Hasan be charged with killing 14 human beings though, given the fact that Obama is in support of killing unborn children even as they are being born and even after they have been born alive following a botched abortion.